For classic denim with a difference, in Balenciaga we trust. JEANS: BALENCIAGA (+ SIMILAR HERE) . 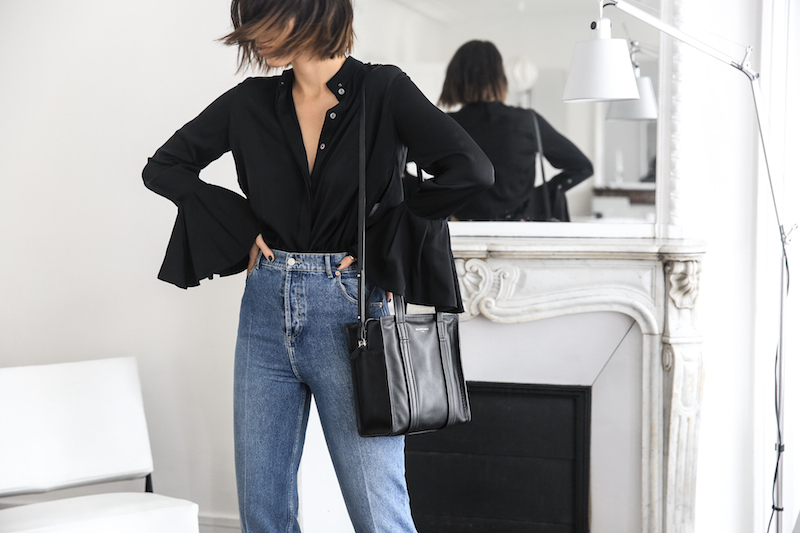 SHIRT: ELLERY (+ SIMILAR HERE) . BAG: BALENCIAGA ‘BAZAR’ XS TOTE . Editing & Creative Direction by Kaitlyn Ham.